French influence upon England came about with the Norman conquest in 1066. In the beginning, the Norman conquerors spoke nothing but French, actually holding the Anglo-Saxon language in contempt. What we now refer to as Norman French was used for the governing of England: spoken at court and in all public documents. 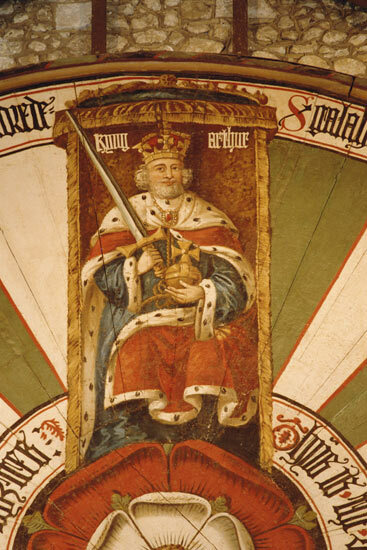 Earl William of Normandy refused to impose his language, and so for a century, the Norman conquerors and the Anglo-Saxons populace avoided interactions. Because of this divide, the old English language became a “cottage” language, practiced by artisans and peasants. The language lost some of its distinctive forms and minor inflections. Latin and Norman French dominated court interactions, but as the Normans were few and the English many, some mingling occurred by necessity of everyday life. The English people and the language prevailed. After the Norman Conquest, four languages were found in England: (1) the Northern section of England used Northumbrian; (2) the Midlands used Mercian; (3) the Southern section used West Saxon; and (4) the English Court used Norman French. In 1066, the Normans invaded England. It was an event that was to transform the English language forever. The West Saxon tongue was replaced by Norman French in literary circles, and the question arose as to which language would become the literary standard. Needless to say, the English were not about to accept Norman French, so Mercian became the standard for several reasons. (1) The Midland contained London, the capital city, the University of Oxford, and the royal court. (2) The Midland area was accessible by those from both the northern and southern sections of the country. An understandable language used by both was a benefit to trade, etc. (3) The Mercian language ushered in romantic tales of love and adventure to replace the somberness found in Anglo Saxon poetry. 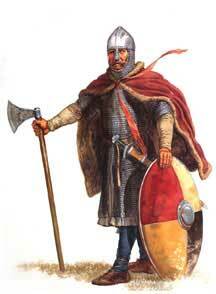 (4) The Teutonic inflections of Anglo Saxon speech disappeared from usage. This entry was posted in Anglo-Normans, Anglo-Saxons, British history, Great Britain and tagged Anglo-Normans, Chanson de Roland, Charlemagne, Earl William of Normandy, King Arthur, Mercian, Norman Conquest, Norman French, Northumbrian, West Saxon. Bookmark the permalink.